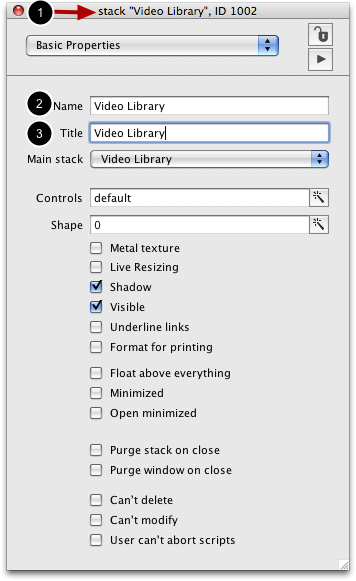 To begin, you need to create the window that will display your menu and video player. In Revolution a window is referred to as a stack. Let's look at how to create a stack. To create a new stack (or window), select File > New Mainstack. 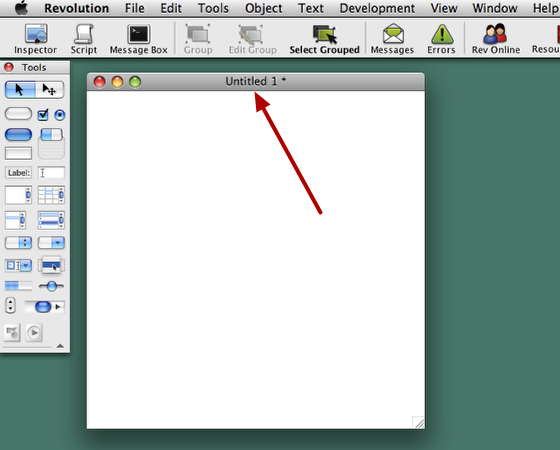 After selecting File > New Mainstack a new stack window should appear that says Untitled 1 in the window title bar. Next you will give the stack window a name and label. You can do this using the Object Inspector. To open the Object Inspector for a stack choose Object > Stack Inspector. 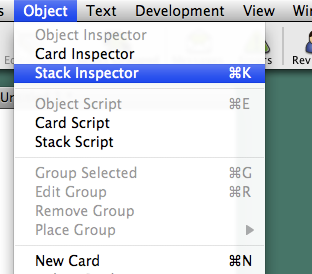 When the Object Inspector opens you should see the word "stack" in the title bar (1). Give the stack a name (2) and title (3). The name of a stack becomes important when you start writing revTalk later on and you need to refer to the stack. The title of a stack is what is displayed in the title bar of the stack window. It is okay if the name and title are the same right now but you might update the title property later on if you were to localize your application for other languages. You should now save your work. So far you have created a stack window in memory. That means that if you were to close Revolution the stack you created would be gone forever. 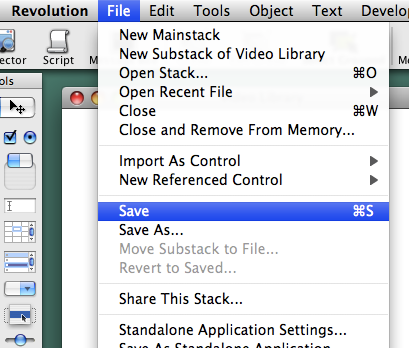 What you need to do is save your stack window to a stack file. A stack file is how Revolution stores all your work on disk. Before continuing and saving the stack file you should create a folder especially for the files related to this application. Choose File > Save to display the save file dialog. 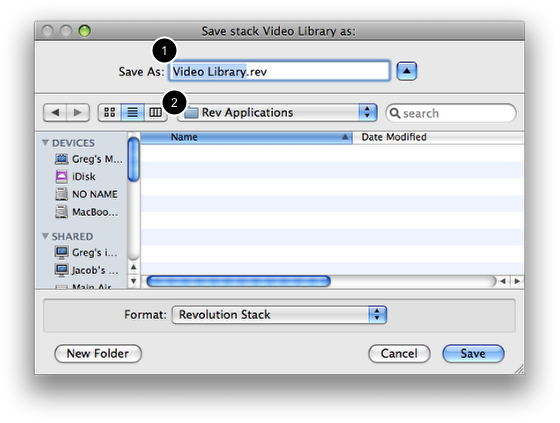 Name your stack file Video Library.rev (1) and save it in a folder that you have created especially for this application. The folder I'm using is Rev Applications (2).